There are currently 90,585 users on this website. 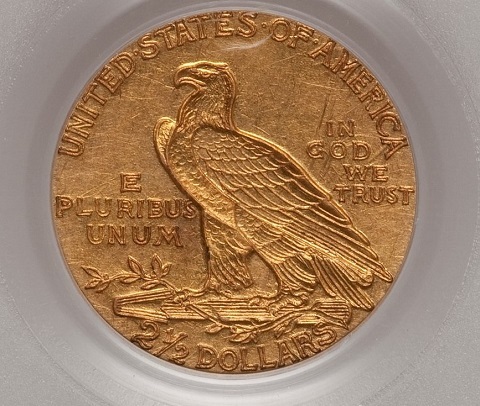 I picked up this $2.50 quarter eagle a while back and was wondering what everyone's thoughts were on grade and authenticity. Thanks in advance! I can't speak to the authenticity, but I would grade it no less than AU-58. 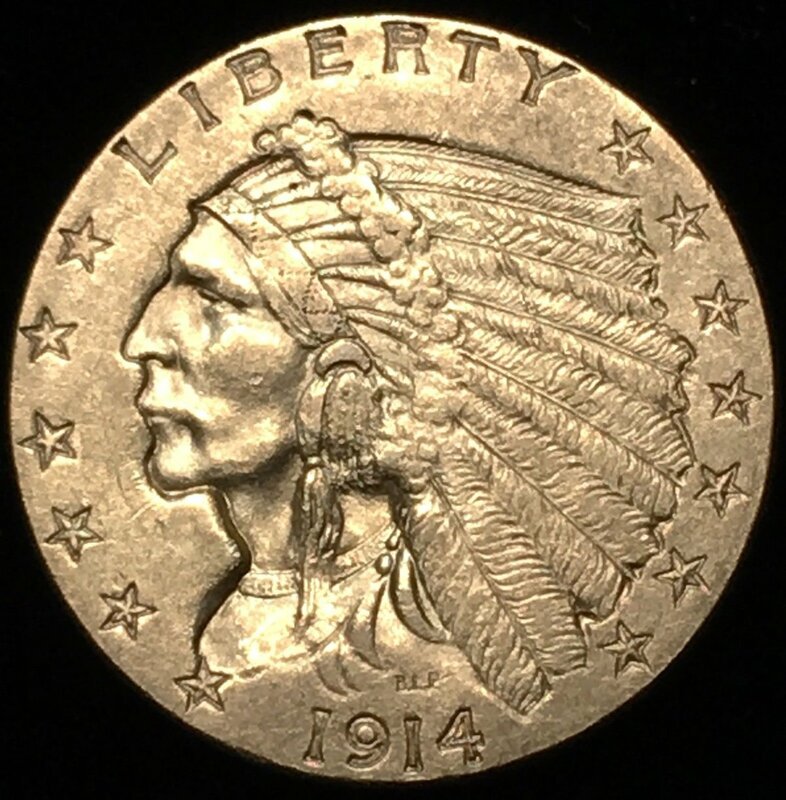 There are a couple of things that are concerning about your coin that it could be a counterfeit. 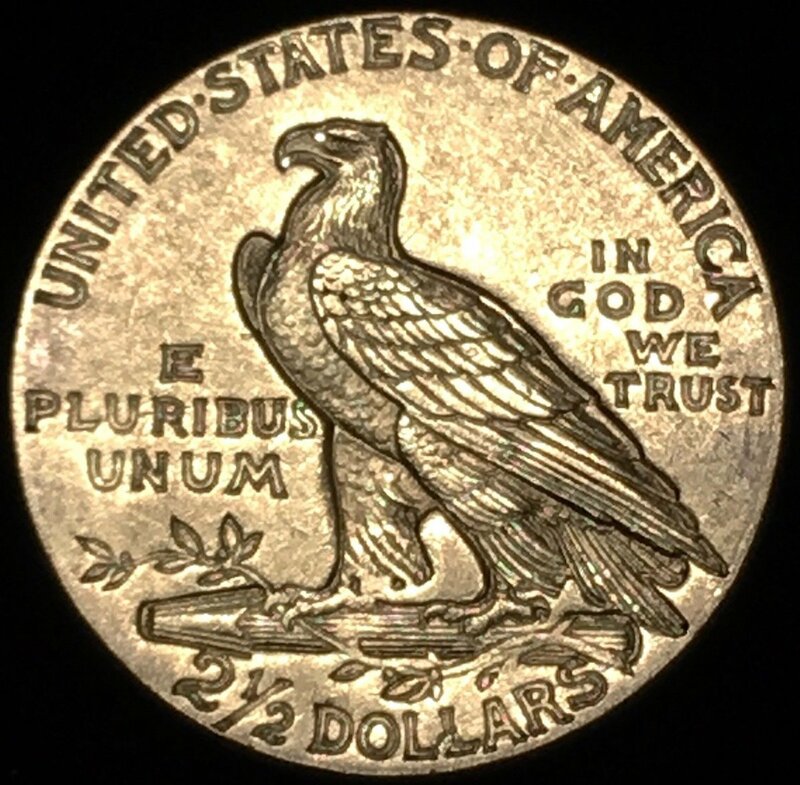 The lines on the bar that the eagle is perched on do not not run to end as your coin has a gap. The wear pattern on your coin is strange on the reverse note the wear shown in the bar. The PCGS XF 45 that I posted does not show any wear in the bar. On your coin the large 2 in 2 1/2 does not curl back in at the top. If the weight and size checks, you may want to sent in to a TPG for authentication. There are so many fakes of this series, if in doubt it should be sent in to a TPG. Aside from that, I don't think it would grade higher than AU-58. What is the weight and diameter? Thank you all for the estimates and responses. As best as I can tell with what I have to measure, the weight and diameter check out OK. I did not purchase from Great Southern Coin, but based on the image I can see why you would ask. I used the pic from the previous seller I purchased from, so I suppose it is possible that they originally purchased it from them and reused their image. I suppose the only way to know for sure with any in this series is to send it in to a TPG as others have mentioned. I don't like the looks of the lettering on the reverse. Could be a bad picture but I'd have expected to see more detailed linework within the letters. Photos just aren't good enough to grade or tell authenticity.